Browns Fireplaces is a fireplace company based in St. John’s Wood, on Abbey Road. Less than 10 minutes walk from the famous Beatles zebra crossing, our warm and stylish showroom is open 5 days a week. Whether you are looking for a stove, gas fire, or fireplace our friendly and knowledgeable staff are on hand to talk you through the options available. Browns offer a range of wood burning and multi fuel stoves that are second to none, both in style and performance. We also supply and install a range of bespoke gas fires and fireplaces. 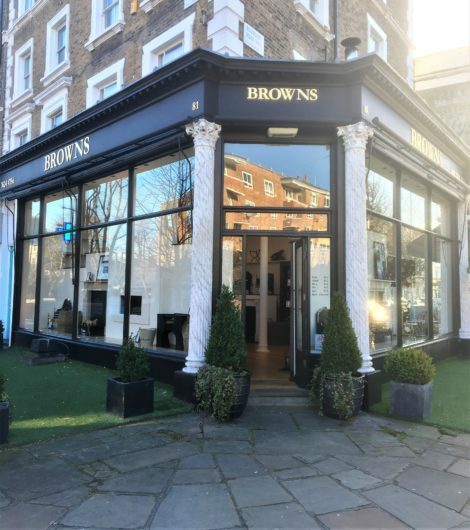 Browns has a long standing reputation for expert advice and a professional installation service. We can create a contemporary or traditional fireplace which will be the focal point of any home. The knowledge and expertise of our staff, some of whom have worked in the industry for over 25 years are on hand to give both aesthetic and technical advice. Our product knowledge is excellent, so you can be confident that whatever you choose will be right for you, giving many years of pleasure and satisfaction. Browns Fireplaces offer a comprehensive, one-stop-shop installation service tailored to your individual requirements, covering all aspects of building work from running in a gas supply to carrying out works related to your chimney like chimney lining and safety checks. Moreover, we are one of the few companies in the country that specialise in the creation of truly individual, bespoke fireplaces. We are experienced at helping clients to visualise their ideas and develop their designs that are both practical and beautiful.